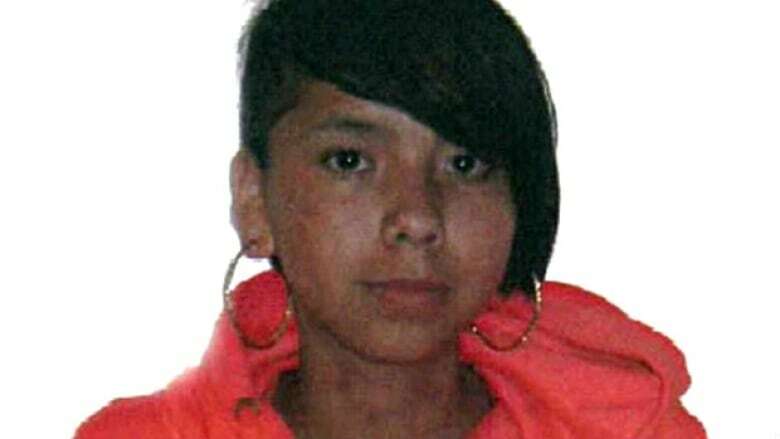 Witnesses during the second week of the murder trial of Raymond Cormier gave a more detailed picture of what happened to 15-year-old Tina Fontaine in the hours before she was last seen at a Winnipeg hotel. In the 12 hours before she disappeared, Tina Fontaine came into contact with police, health-care workers and child-welfare officials. On Aug. 17, 2014, the teen's 72-pound body was pulled from the Red River near the Alexander Docks in Winnipeg, wrapped in a duvet cover and weighted down with rocks. 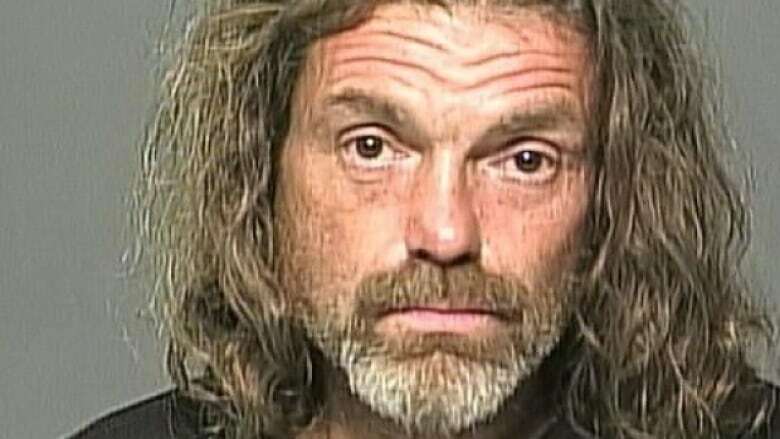 Raymond Cormier, 56, has been accused of second-degree murder in connection with the 15-year-old's death. He has pleaded not guilty and his trial, which wrapped up its second week on Friday, is being heard by a judge and a jury of eight women and four men. Witnesses during the second week of Cormier's trial gave a more detailed picture of what happened to Tina on Aug. 8, before she she left the Best Western Charterhouse Hotel in downtown Winnipeg — where she had been placed by Child and Family Services — and never returned. The timeline of events that day paints a picture of a teenager in trouble, and various authorities trying, but ultimately failing, to help her. Two Winnipeg Police Service officers pulled over a truck on Isabel Street early in the morning on Aug. 8. They found Tina Fontaine inside with a man named Richard Mohammed, who told court he encountered her on the street and picked her up after driving to the area looking for "a girl to hang out with." After initially giving police two fake names, Tina told Const. 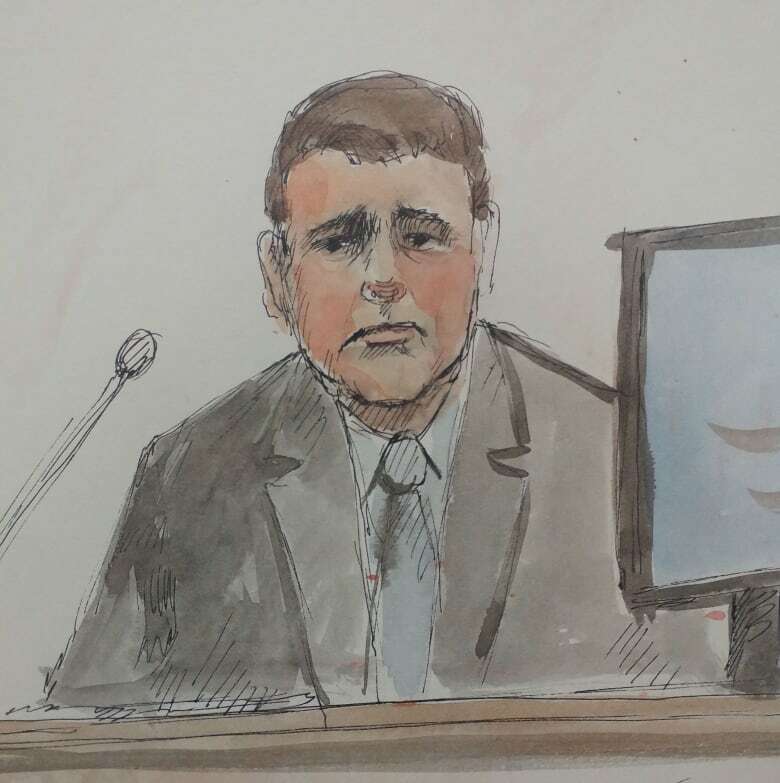 Cornelis Brock Jansen her real name, the former officer told the court during testimony on Tuesday. Jansen then told his partner, a new recruit named Const. Craig Houle, to do a check on her name. Houle told court he saw Tina's picture come up with a previous flag indicating she had been the subject of a missing person report, but said he didn't see an active missing person flag beside her name. On Wednesday, Sgt. Shauna Neufeld, who was the supervisor of the Winnipeg police missing persons unit at the time, told court Tina was the subject of a missing person report on Aug. 8, 2014. 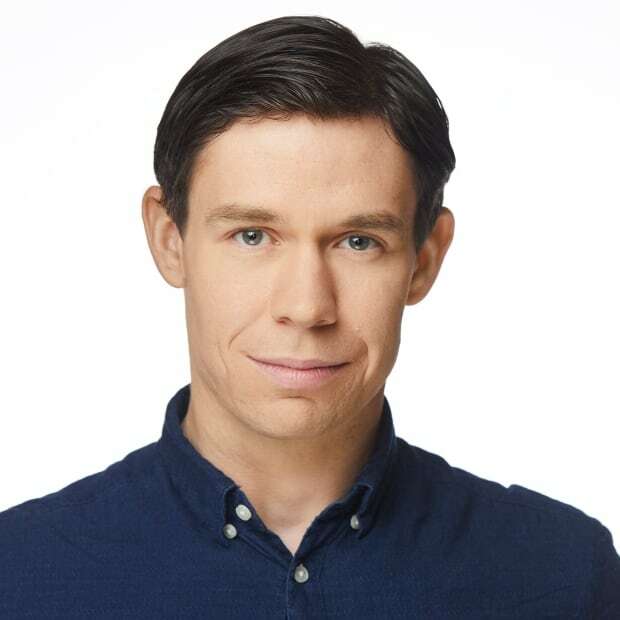 "At the time, my recruit [Houle] was quite new. I could have done a better job of overseeing him," Jansen said. Jansen said the teen didn't appear to be in any distress, and after she told him she was OK, he let her go. 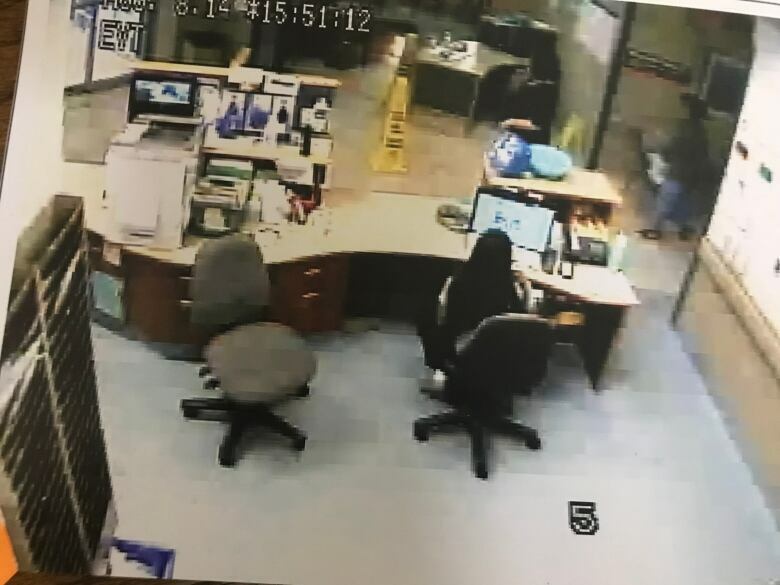 A few hours after Tina encountered the police officers, security cameras outside the Helen Betty Osborne Centre on Ellice Avenue captured images of Tina walking into the parkade behind the building. The jury watched the footage in court on Tuesday. The time-lapse footage shows the petite teenager, wearing a green fleece sweater, short white skirt, and pink high-top runners, walking in the rain with a paper over her head. She sat down between two cars and fell asleep. The security camera footage played in court then shows a man and woman walking through the parking lot. After they spot the teen lying on the ground, the woman goes to alert University of Winnipeg security. Audrey Kohinsky, who was a security supervisor at the U of W at the time, told court on Tuesday that she came and tried to wake Tina up. When she was unable rouse the teen, Kohinsky called 911. When paramedics arrived, they were able to wake Tina up. Kohinsky said the girl seemed disoriented. "She was struggling with knowing where she was and who she was," Kohinsky testified. She said Tina had what appeared to be mosquito bites or cigarette burns on her legs, which looked "awful," and a blister on her lip. The security camera footage shown in court ends as the paramedics lead Tina into an ambulance. The paramedics took the teen to Children's Hospital, where a social worker contacted the Southeast Child and Family Services agency. The agency was responsible for Tina's care after her great-aunt, Thelma Favel, called them to say she was having trouble contacting the teen after she left her home community of Sagkeeng First Nation and went to Winnipeg earlier that summer. Dr. Andrea Wilkie Gilmore examined Tina and took blood and urine samples. She told court she was worried Tina was being sexually exploited because of the way she was found, but Tina refused a physical exam and wouldn't answer questions. "I tried to counsel her, get her to open up to me. I told her about the dangers she could be in. I tried to urge her not to run away from CFS," Wilkie Gilmore said during testimony on Wednesday. Shortly after she arrived at Children's Hospital, a social worker from Southeast CFS named Kimberly Chute arrived and remained with Tina until she was discharged. After being discharged from the hospital, Chute took Tina to McDonald's to get something to eat, something she told the court she does with many of the children in her care. "It's a great way to get kids talking, and kids tend to talk more in the car," she told the court on Wednesday. During the drive, Tina told Chute that she had lost her bike and wanted a new one. Tina mentioned she was hanging out with a much older man, a meth user named Sebastian — a name the jury was told Cormier used — who was going to get her a bike. "I tried to not make it a big deal with her, tried to normalize it with her, just to get a little more information, but she was pretty tight-lipped," she said. Tina had gone missing several times in recent weeks, and Chute tried to convince Tina to stay in CFS care by telling her they could help her get a bike. Chute arranged for a room for Tina at the Best Western Charterhouse Hotel in downtown Winnipeg. When Chute dropped her off, Tina mentioned wanting to go meet friends at Portage Place Shopping Centre, which Chute said is known as a place where children are exploited and where drugs are sold. Chute said she tried to convince Tina to stay at the hotel and rest, but that there was no way to physically prevent her from leaving. Chute turned Tina over to the care of a respite worker at the hotel. Ngozi Ikeh was the respite worker who met Tina at the hotel. She told court on Wednesday that she also tried to convince Tina to stay and eat some food, but Tina left the hotel soon after she arrived. Tina was reported missing on Aug. 9. Sgt. Shauna Neufeld told the court that she planned on recommending Tina for a special program for high-risk teens, but it was too late. Tina's body was found in the Red River eight days later. Raymond Cormier's trial, which is scheduled for five weeks, continues Monday.